Spring, Summer, Autumn or Winter? That is the question? Do you have a special theme in mind which would work better in a specific season? A Romanov style wedding should not be held in July, whereas a beach wedding is not the best idea to be held in mid January. Also think about the location you are hosting it. Here in the West of Ireland we might not have that lovely summer sunshine, but a blowing gale and buckets of rain in August - or shall I say, most likely all year! Do your friends and family have a lot of children who are in school and most like off on holidays during the summer months? Maybe then a September wedding is better for them. Also, if many guests are due to fly in from abroad, think of an off season wedding to lower their costs for flights and accommodation. 3. Nail down your guest list. Are you thinking of a small and intimate wedding, but your great-aunt would like to bring their neighbours who you used to play with in the sandbox when you were three? 4. Set a realistic budget - and stick to it! Do you want a Cinderella wedding, but only want to spend a barnyard’s budget? That ain’t work, hun! Be realistic! Do some research of minimum and maximum costs of everything and expect to pay an average on it. I am sure you heard the saying “You get what you pay for.” It can’t be truer than this when it comes to weddings. You cannot expect to have the most expensive venues and services by paying them minimum wages. Venues have to pay their staff and bills to keep their buildings running. Services like the photographer, florist and hairdresser reflect their fees in years of experience, quality of products and profession. Lower costs aways result to lower quality, low experience, cut corners with equipments/stock and, in the end, low enjoyment for you and your other half. On the other hand, don’t splurge out too much, if the asking price is triple the average, but you can’t see the extra benefits over other, more reasonably priced offers. Once you have set a budget for each service and venue start shop around and make inquiries. It might be a while until your wedding, but it’s worth looking for the perfect dress this early. You have browsed many wedding magazines, visited wedding dress shops and websites for inspiration and you think you like that A-shape dress with lace sleeves. But unless you have tried it on and it fits your figure and personality, you might find the ideal dress to be the champaign coloured silk dress with floral stitchings and a 10ft long train, which would not go with the initial wedding theme and venue at all! And don’t worry about the perfect fit just yet. You can have your final fitting done just a few days before the wedding to make sure the dress looks the best on your special day. Now that you have your wedding dress and overall theme arranged and a good idea of how many guests to expect you can start looking for the venue. Shall the ceremony be held in a church, a civil service in a hotel or special location, such as a castle, lighthouse or the beach? And where do you want to hold the reception? Expect to spend a good 50% of your overall budget on the reception venue alone, so make sure it suits your needs, size and budget. It is always nice to have a venue that offers beautiful outdoor photo locations, as well as to or three indoor locations, in case the weather is not cooperating. Also, if they offer accommodation, ask for special deals on extra rooms for your wedding guests. Hotels often knock off a few percent, if your guests book a room with them. After settling on a venue check for musicians or DJs. When booking the venues, ask for the space allocated for the musicians. A small chapel might not have enough room to host more than two musicians. It is also good to inform the musician/DJ about the venue, so that they can check it out in advance and, if necessary, include any extras needed for the venue, into their quote. Similar rules go for the photographer/videographer. 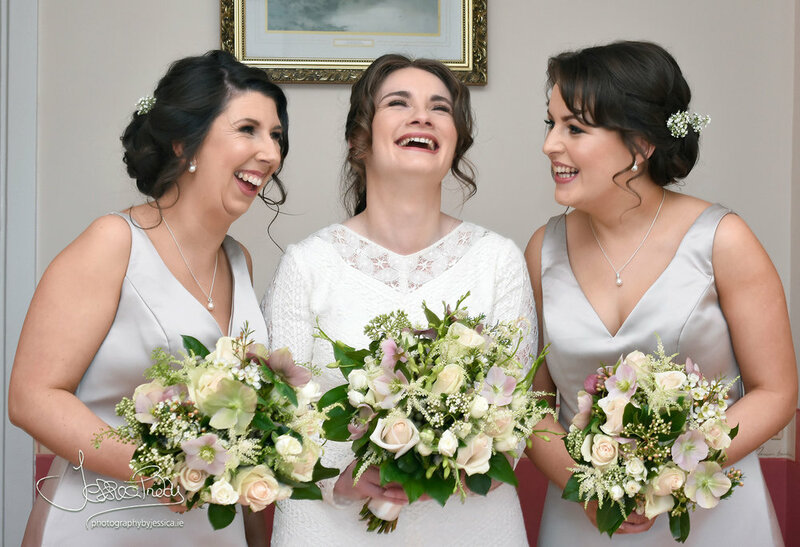 A good photographer will meet you about a months before the wedding to discuss the day’s itinerary to make sure they capture everything and everyone and include your wishes of photo locations and other special requests. If you’re a bit shy in front of the camera ask for an engagement shoot. Often it’s included in their wedding packages or can be added on. This way you can get to know the photographer and don’t feel like strangers on your wedding days. Generally, you will be around the photographer more than your bride/groom and you want to get along with them. It can be a good idea to ask for recommendation between the photographer and videographer. Most likely they have worked together on previous weddings and won’t interrupt each other. It’s getting official! You are about to send out the invitations and then there’s no coming back! Invitation to a wedding held in a nearby location should be sent out about six weeks ahead of the wedding. If most of your guests have to arrange travel and accommodations, it’s better to send out the invitations about 3 months in advance. You could, of course, also send a “save the date” card to those guests and the official invitation later. Most wedding couples keep their wedding invitation in the same style and theme as their wedding decoration. If it’s a very specific theme, try to find a company that also designs the reception stationery, such as the menu, seating cards or table decor. Otherwise it might be more tricky to find similar styles from different venders. Choose a florist that suits your style and budget. Make sure the flowers you are thinking of now are also available/in season on your wedding day without the forgotten extra fee of shipping them in from a far country. One of the most fun - and delicious - part of the wedding planning. Cake testing time!! Have you decided on the design, flavour and size of the cake yet? Or do you want to have a wedding cheese platter instead? So much to choose from! If you want to get custom wedding bands made, make sure you order them in time. And when you get them make sure to remember where you have put them. No one wants to look for the rings on their wedding day! The groom and groomsmen should get their suits sorted out by now. If you are going for the 100% tailor-made, better have your first fitting about 4 weeks ahead of the wedding. Rental suits might also need some alterations done, so don’t wait until the day before the wedding to find a suit. Chairs, linens, backdrop, signs, table decorations, etc can easily add up. Make sure to check what decorations are included in the venue rental agreement and what you have to buy/pay for extra. Arrange the bride’s and groom’s transportation. If your budget is getting tight, you might ask a family member or friend with a nice car, if they would be willing to lent you their vehicle. When booking your hairdresser and make up artist think if you would prefer to go to their studio or if they should come to your home/bridal suite in the morning of the wedding. The latter gives you a little bit flexibility when it comes to multitasking and directing your family. You would also save some time by staying in one location rather rushing from your home to the studio and back again. If you want your hair dyed and cut for the wedding, ask to get it done the day before and they only need to fix and finish your hair the next morning. Remember to order/prepare some breakfast for the bridal parties for when they are getting ready. This also prevents early tipsiness when celebration the special day on an empty stomach. 18. Enjoy your Special Day! A well organised and prepared wedding should not end up in stress. Remember, mishaps will happen, no matter what. So make sure you enjoy your special day and don’t spend it all being worried about the small stuff. ← Who is who in your groom's and bridal party?